This recipe has been moved to a new home at The Friendly Gourmand. Please follow this link to access the recipe and many more. 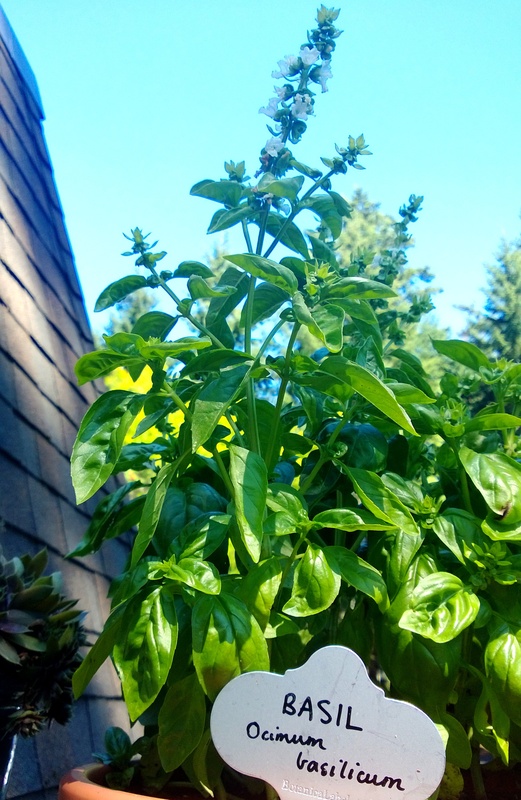 I mentioned in my last post that I had made my basil pesto from basil that I’d grown on our balcony this summer. 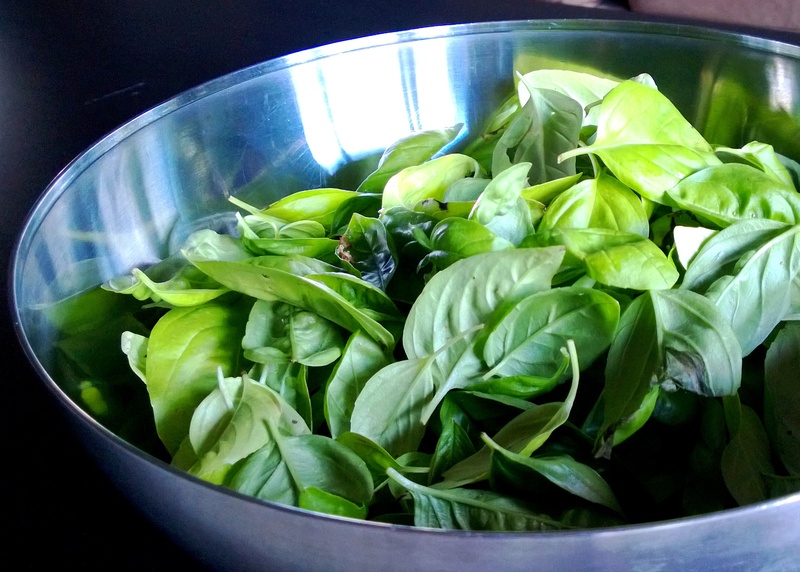 This was an achievement – I have struggled previously to either grow enough basil to make pesto worthwhile or to pick it before a huge downpour tears all the leaves off and leaves me with bare plants. Feeling very proud of myself, I decided the best way to “display” said basil pesto was in as simple a dish as possible. You know, so you couldn’t miss it. And Ev would have to comment on it, positively, of course. Gnocchi seemed the best way to go. 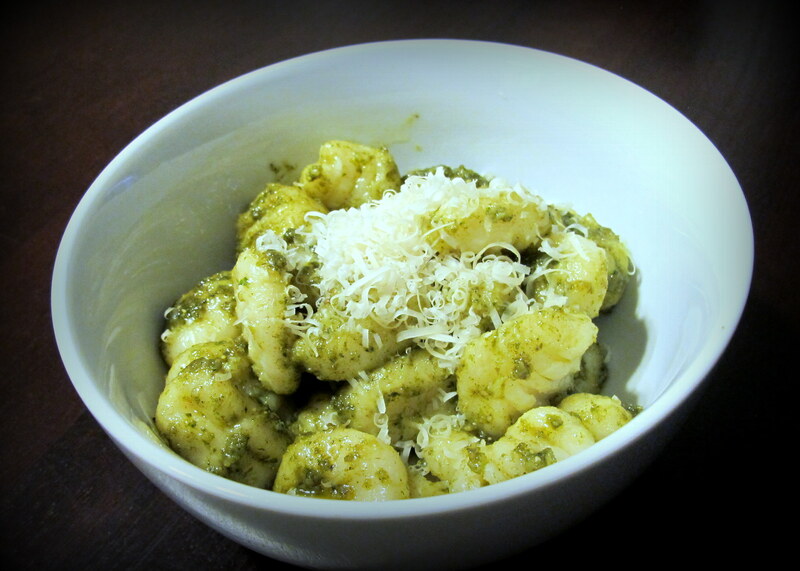 And pesto gnocchi is a classic, so – decision made. Of course, we need to know any possible allergens in the gnocchi ingredients. 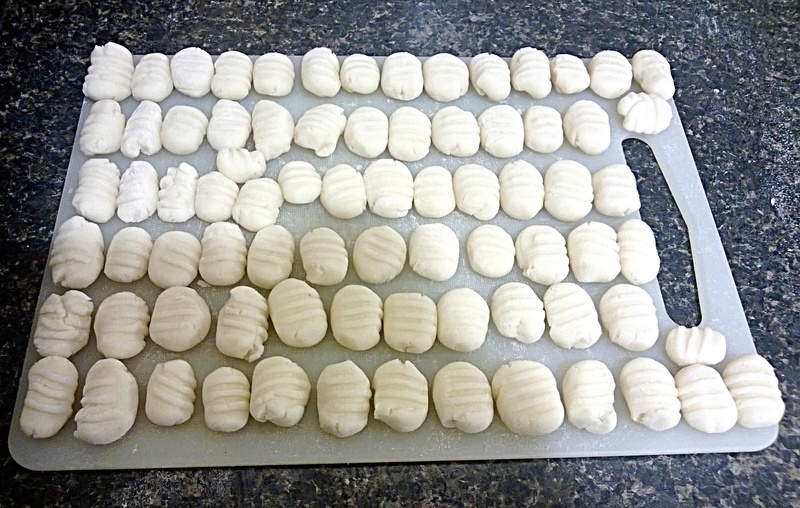 I made this batch of gnocchi egg free… because I was rushing and I forgot. But you know what? I didn’t miss it, these were soft and delicious. I’d added sour cream (see #2) because Mum instilled me with a good love for all things potato and sour cream and afterward I realised that hey, some people, especially kids, can’t have eggs and they deserve to have delicious gnocchi as well. So there. 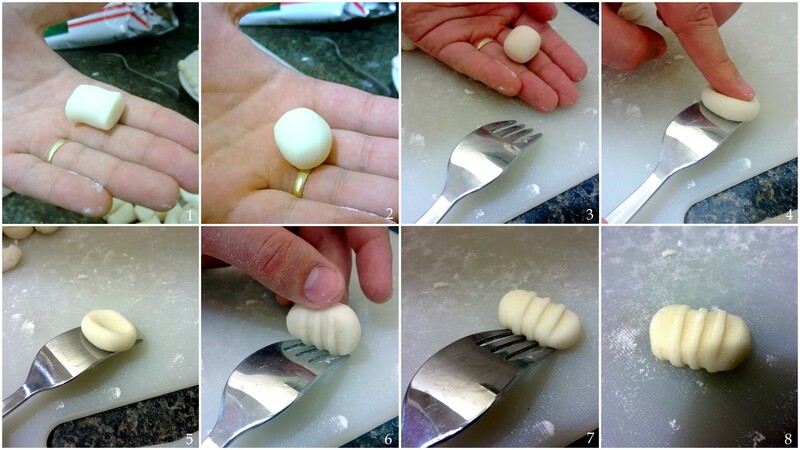 You could add an egg in if you wanted the gnocchi to turn out a little more al dente – i.e. have a little more “chew” to them – but you will need to add extra flour. These were very tender but Ev prefers his with a little more bite. I added natural sour cream to this recipe. Full cream, not low fat – so if you use a low fat version I don’t know if the results will be consistent. 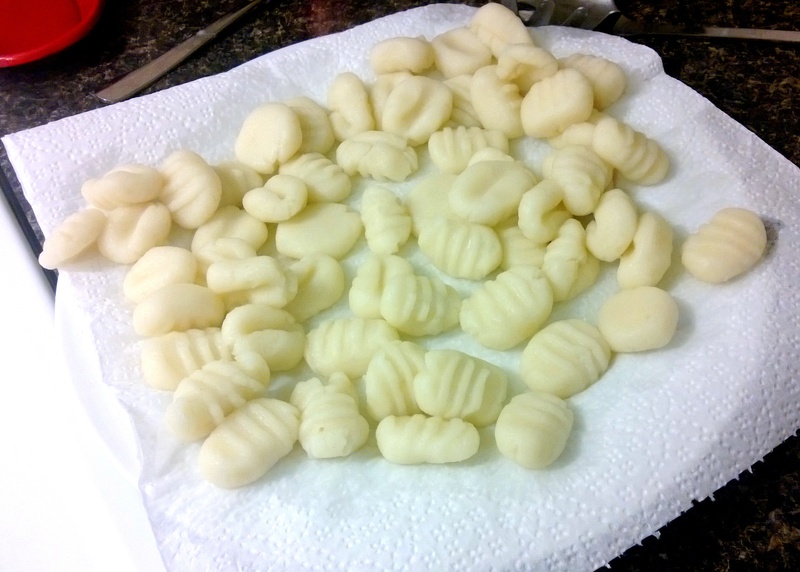 But these were some creamy gnocchi(s). 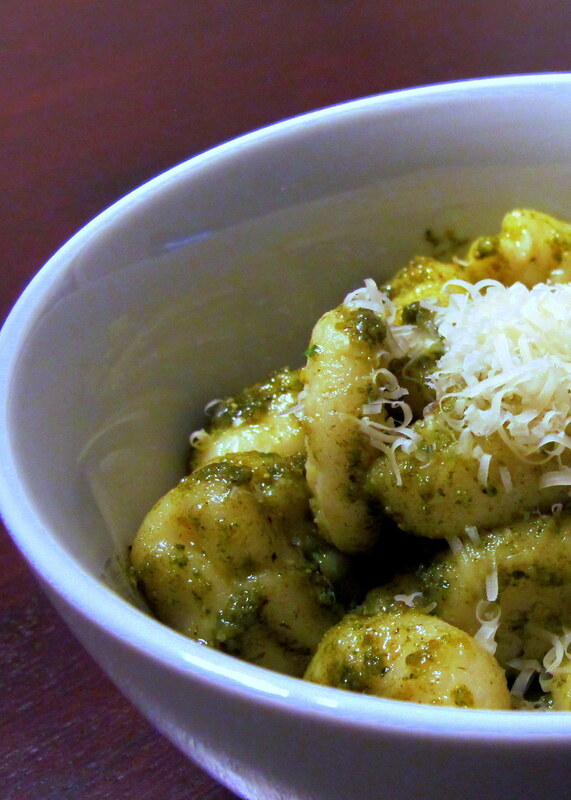 What’s the plural for gnocchi, anyway? If you are sensitive to lactose, use lactose free sour cream or, if you can eat eggs, replace the sour cream with a large egg and play around with flour til the dough reaches the right consistency. I am not of any Italian descent whatsoever, so I don’t claim to be a gnocchi expert, or that these are “traditional.” Far from it. I just know that I like this variation of a gnocchi recipe for ease of assembly and cooking, and most importantly, taste. It’s the method that works for me, and it’s years ahead of store bought gnocchi in terms of everything, and if you make a huge batch and then freeze it in portions then you have a stash ready for whenever the need for comfort food calls. Cut the potatoes into chunks and boil them past the point of the fork piercing it easily (you know, when you’d usually stop). Keep boiling til the water gets starchy and the outsides have started to crumble a little. Then remove them from the water and roughly mash them in a large bowl. Once mashed, tip them into a large metal sieve or colander with tony holes. If you have a potato ricer, use that. Unfortunately, I don’t. 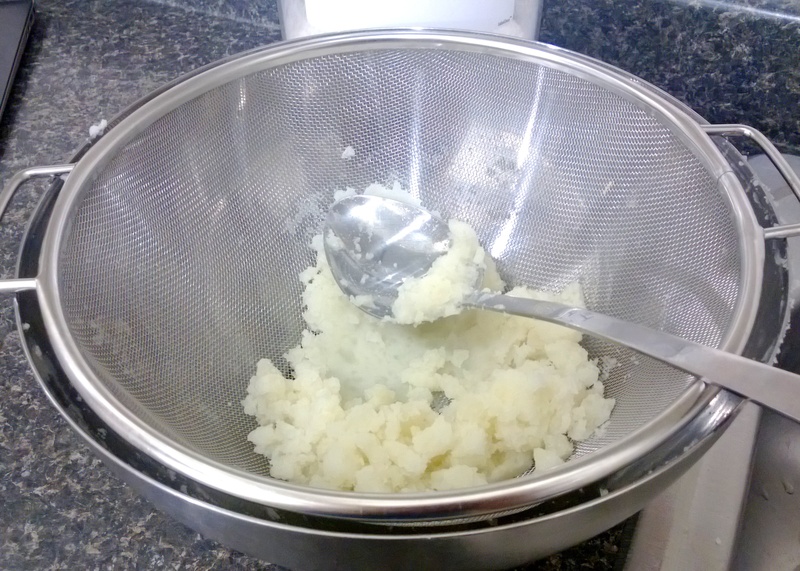 Place the sieve inside the bowl you just used for mashing – I’m all about as little washing up as possible – and, using the back of a spoon, force the mashed potatoes through the mesh and into the large bowl. 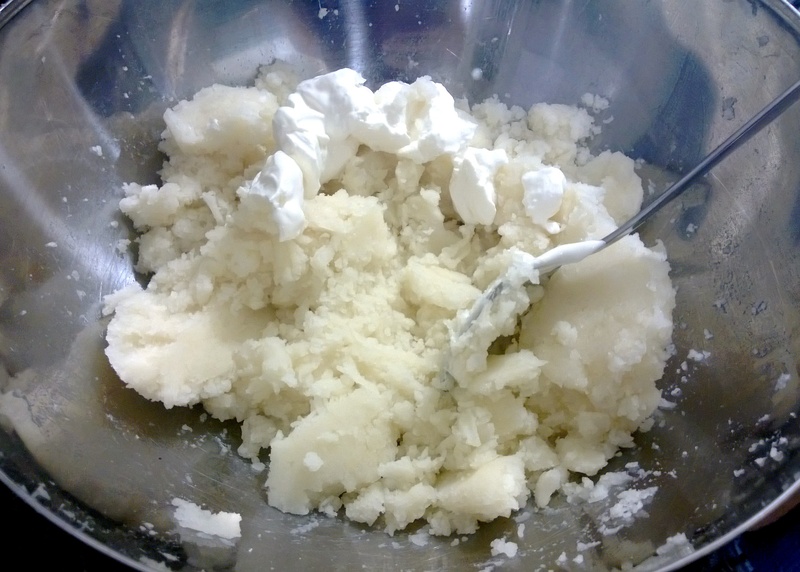 Once done, scrape as much of the potato as possible from the outside of the sieve and plonk it into the bowl. Now, add the sour cream, egg (optional) and salt and mix through thoroughly. Add the flour, bit by bit, until you reach a good, doughy consistency. If you’ve added the egg, you’ll need to add in more flour; just make sure you add it gradually so the mixture doesn’t get too dry. 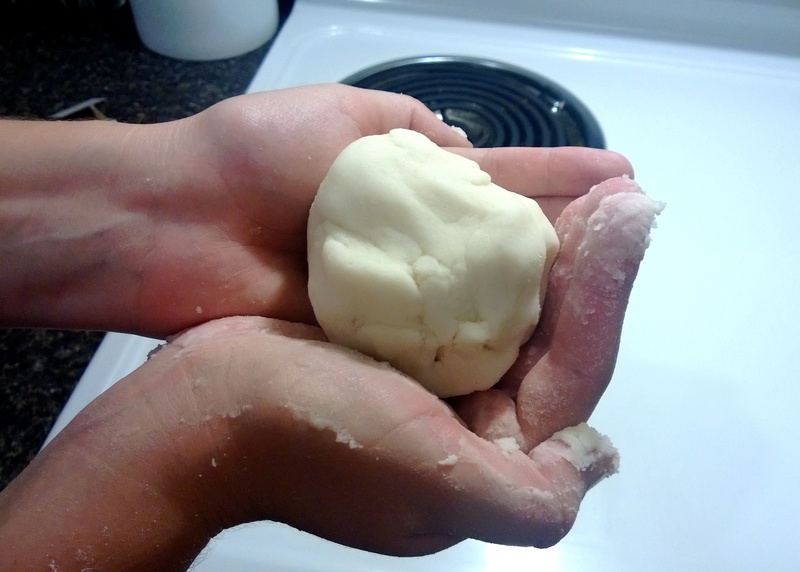 The dough should be easy to handle, and look something like this. Please excuse my dirty hands, it was all in the name of good gnocchi. Next, break off chunks of the dough and roll them until they are logs with a diameter of about 2.5 cm/1 inch. Cut each of these logs into little, bite sized pieces. It doesn’t really matter what size, as long as they are consistent for cooking reasons. Ours are normally 2.5 x 2.5 cm. If you’re being super lazy (I’m not judging!) or you’re in a hurry – you can stop here and cook them. 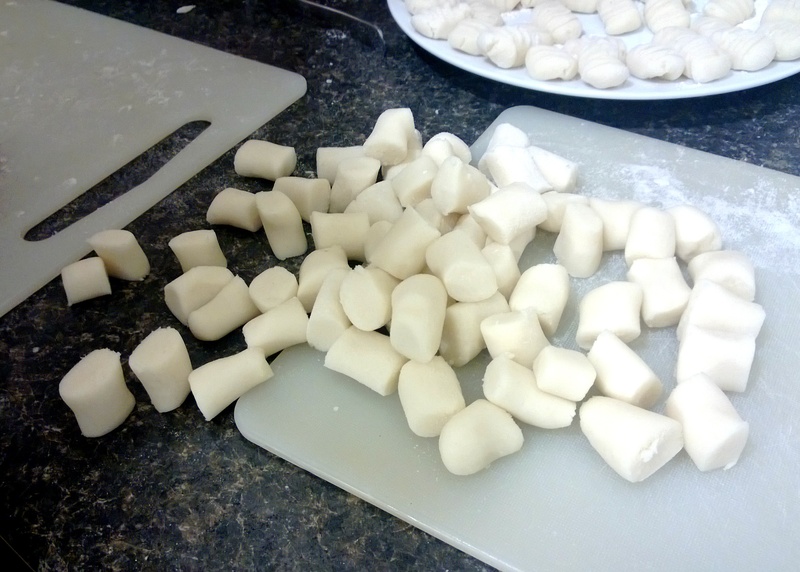 The next step is purely aesthetic; although, purists will say that gnocchi needs the little ridges and the dimple to allow as much sauce to cling to it as possible. This just reminded me of an old pasta add back in Australia, where they pasta shapes became progressively more ridiculous, with names like boot-oli and bucket-eli etc. Hehehe. Now do this for as many bite-sized pieces that you cut… Ev and I like to do this as a team. It goes by much quicker if one of us rolls and cuts while the other one prettifies the gnocchi. Lay the individual gnocchi out on a freezer safe tray – our plastic cutting boards work perfectly – and freeze for half an hour minimum before piling them into a container you can seal. We have had the heart wrenching privilege of discovering our frozen batch of gnocchi stuck to each other like glue because we piled it into a container before they were individually frozen. Rookie mistake. Bring a suitably-sized pot of water to the boil, salt it, then reduce it until it is boiling only very slowly. 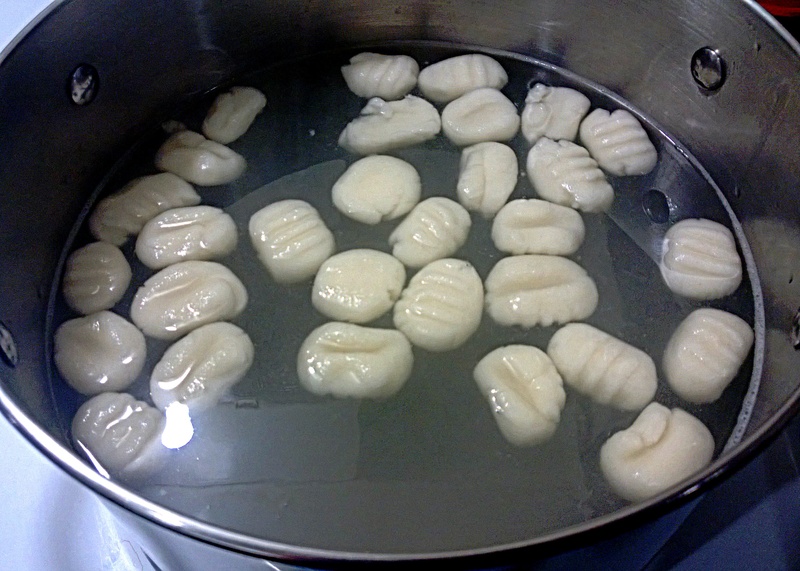 Carefully put your gnocchi in the boiling water – I had a nice burn for the rest of the night – and leave them in until they begin to rise to the top of the water. Remove them and sit them on a plate to air-dry off a little. We used a paper towel in this photo but I wouldn’t recommend it. Not all paper towels are created equal and I’d hate for you to destroy your hard work with flimsy paper towel sticking all over it. Serve immediately with a sauce of your choice. May I recommend a basil pesto or a Napoli (called marinara in the US) sauce? Both go very well with gnocchi? 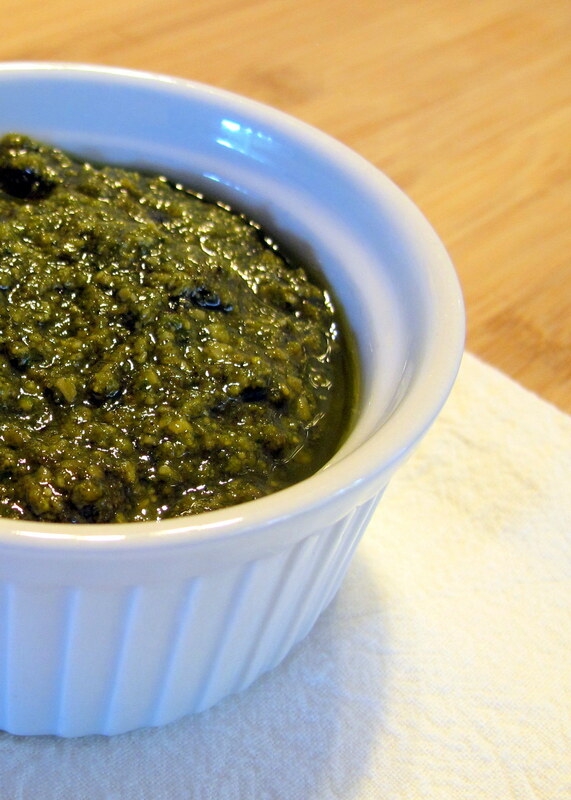 I always like to have a jar of pesto around, and nothing beats homemade basil pesto. Except this year, when I made my pesto from basil that I grew out on our balcony! Quite a feat without a back yard but it just goes to show, it can be done! I’m lucky enough to have a balcony, I know someone who has managed to grow peppers inside, next to a window. Kudos to her! I suppose you could top home grown basil with home grown pine nuts or if you owned a cow and could make your own Parmesan cheese… but let’s be realistic. Nobody is that good. Garlic infused olive oil is considered low FODMAP by Monash Uni – just make sure that, if you buy it, the brand you buy doesn’t contain any garlic bits. Those who are particularly sensitive may need to just use a good extra virgin olive oil (EVOO) instead. A tbsp. of lemon juice would add in some extra flavour. Store bought garlic infused oils vary in intensity of flavour, so, please use your discretion with how much you add to your pesto and replace the rest with a good quality extra virgin olive oil. I used homemade garlic olive oil for this recipe. Please use good quality oil, it makes all the difference in this oil-based sauce. Bad oil will leave a bad after taste, I can’t stress that enough. I’ve made that mistake before. 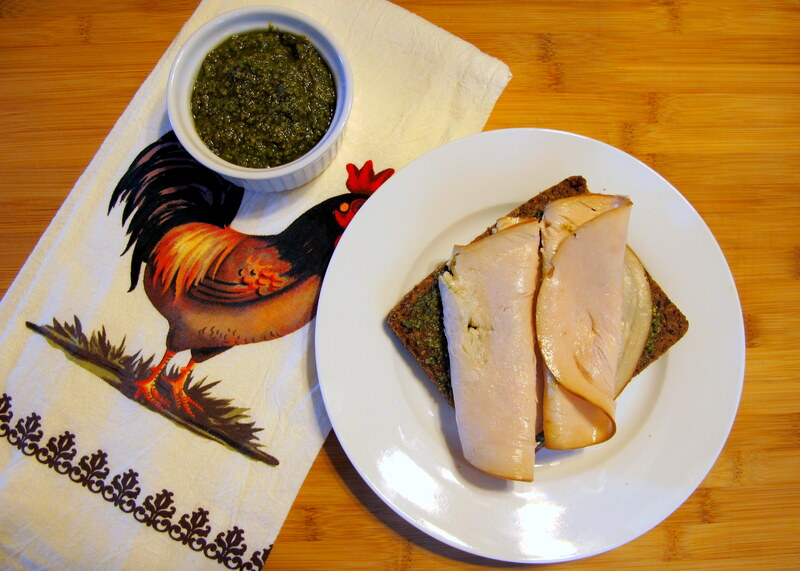 This pesto recipe always changes slighlty, each time I make it. One year the basil might be more strongly flavoured than another, I might feel like adding a little more or less Parmesan cheese. If you make it and you want to add a little more salt, or a little extra oil to get the consistency that you prefer, go ahead. There is not a right or wrong way of doing this. Parmesan cheese is low FODMAP due to its lower lactose content, however it is not vegetarian, as it contains rennet. For a vegetarian version, use a rennet-free hard style cheese. I apologise for the lack of step-by-step photos. I took them but I can’t find them anywhere! Makes approx. 2 x pint sized jars of pesto sauce. A few drops of EVOO to cover it once in jars. Place the basil leaves, garlic-infused olive oil, pine nuts and salt in your food processor and blitz until smooth and well combined. This might take a little while, as depending on the quality of your food processor, you might need to add only half of the basil to begin with and let that process before you add the rest. Some blenders will struggle and just whiz a hole in the centre, while forcing everything to the outside. If this is the case, you will need to stop every now and again to push all the ingredients back into the bottom. Once the processed mixture is finished, add in the freshly grated Parmesan cheese. 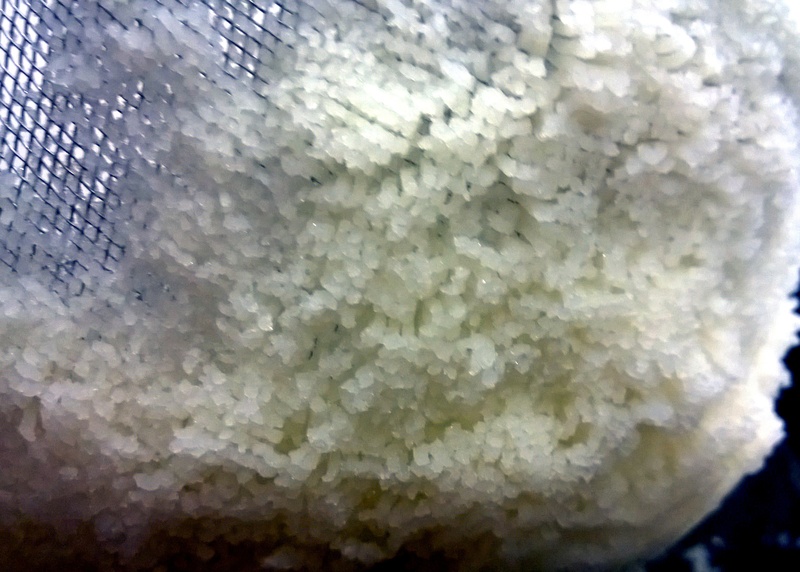 Freshly grated Parmesan cheese actually has a nice flavour and is quite soft, unlike pre-grated cheese. It’s well worth it. If your mixer has a “mix” setting, put the Parmesan in and turn it onto “mix” until it has combined evenly. Otherwise, fold it in yourself. 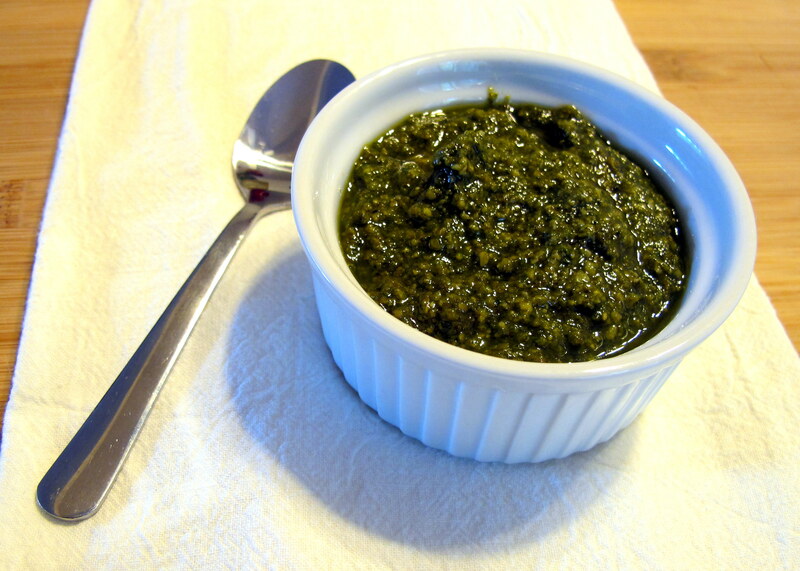 Scoop the now finished basil pesto into jars for storage, leaving 2 cm between the pesto and the top of the jar. Place a little bit of garlic-infused olive oil – maybe 5 mm in height – over the top of the pesto to seal it from the air. This helps it to keep longer. I freeze one jar and keep the in-use jar in the fridge. Use it as a pasta sauce, a dip, a spread on a sandwich, on top of your poached eggs – the list goes on. It’s a very versatile sauce and a little goes a long way. Please head over to www.thefriendlygourmand.com and sign up to keep receiving new posts in your email inbox. Copyright (c) 2016 Not from a Packet Mix. All rights reserved. All recipes, text and photos are my own, unless they link to their original source or it is explicitly stated. No text or images from NFAPM may be reused on other websites without written permission. Sharing and pinning is allowed, as long as no text is reproduced with the image and you link back to the original work.